Did you realize that this weekend is the National Day of Play!? 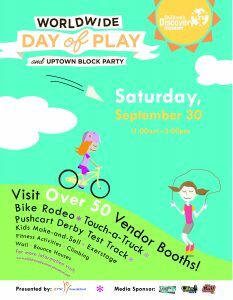 We at BN Realty love this town and love that our community takes such an active role in the lives of its people which is why we are excited for the 11th annual Worldwide Day of Play and Uptown Block Party on Saturday, September 30 in Uptown Normal, Illinois. The Day of Play was established in 2005 by Nickelodeon in a push to get families up, moving, outside and off of electronics. From 11 am until 3 pm on Saturday, September 20th the streets of Uptown Normal will be closed off. 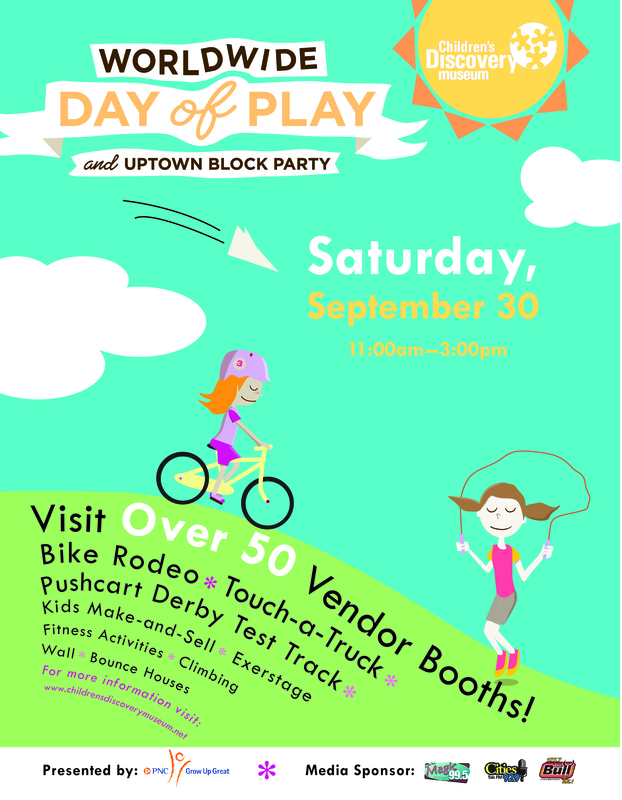 There will be more than 50 vendors bringing structured and unstructured FREE play activities. Some of the vendors and organizations that will be out to help encourage you and your family in an more healthy lifestyle include Bloomington Normal Warriors Lacrosse, Boys and Girls Clubs of Bloomington, Four Seasons Club, Gingerbread House, Girl Scouts, Normal Public Library, Skill Sprout, Upper Limits, the Zoo Crew and many more! There will be two stages with performances all day, an “exerstage”, bounce houses, a climbing wall, touch-a-truck area, hamster balls and a pushcart derby test track!! Kids can demonstrate their bike riding tricks and learn safety skills as well as receive a free bike helmet (while supplies last) at the Parkinson Street Parking located on the south side of the train tracks near the police station. Admission to the Children’s Discovery Museum will be discounted down to only $4. Got a crafty kiddo? For $10 your child or children can sell items that they created themselves. The fee gets them half of an eight foot table to display their items which can include artwork, crafts, jewelry and more! 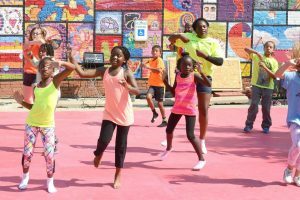 Think mini Sugar Creek Arts Festival with artist between the ages of five and 18. 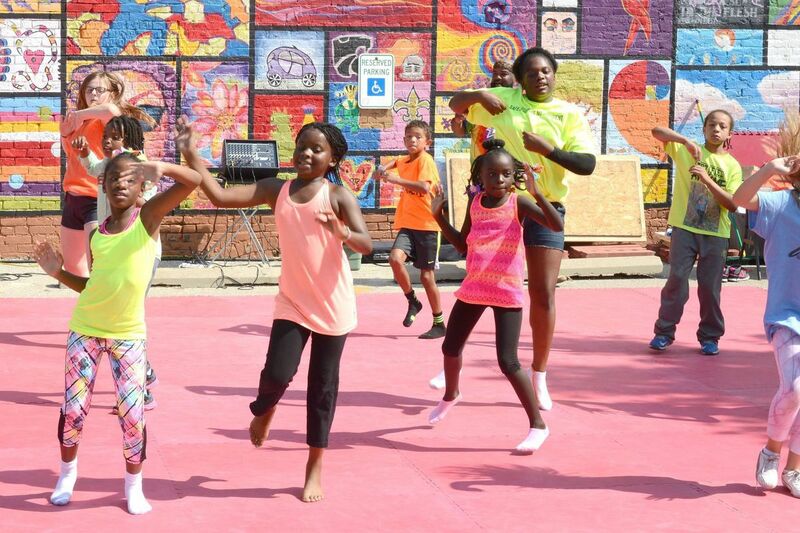 This “Kids Make and Sell” event is only happening from 11 am until 1 pm and is located between the Uptown Station and the Children’s Discovery Museum giving those young entrepreneurs time to enjoy the rest of the Day of Play themselves. Enjoy the music while you settle down on one of the unique benches around Uptown Circle. Relax while the children walk in the water or play tag with new friends on the green space. Make sure to check out the coy that somehow make an appearance every year… no one knows how they get there but they come back year after year! If you worry about getting hungry, Uptown Normal is home to many fantastic and unique eateries including Maggie Mileys Irish Pub, Medici, Firehouse Pizza, The Rock, La Bamba, DP Dough, Windy City Weiners, Merry Ann’s Diner and Subway. Don’t worry, if exercise doesn’t give you enough energy you can always grab some coffee at the Coffee House or the Coffee Hound. Need some more adult beverages? Try Pub 2, Brewe-Ha’s or Lunkers! Top your day off with some ice cream from Emack & Bolio’s or cookies from Insomnia Cookies! Bring your friends, and when they fall in love with the town, give us at BN Realty a call and let us take care of finding them a home in one of the sweetest “Normal” places you will ever find, 309-310-6030.